Internet Of things (IOT) is a system that connects objects using embedded electronics, network connectivity and sensors. It gathers devices & shares the information, making it feasible to collect & analyze data faster and correctly. It is used in healthcare sector for improving real-time communication between patients & the care providers. IoT applications are frequently used to improve quality of care, access to care, and reduce the cost of the total care. 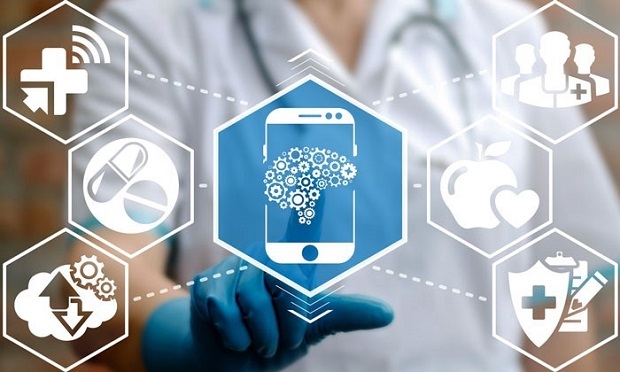 According to study, “IoT IN HEALTHCARETypes (Provider, Payer, Biopharma, Medical Devices), Technologies & Services: (Network Connectivity, Application, and Consulting, Integration, Maintenance), Applications (Telemedicine, Clinical Care, Diagnostic, Drug Management, Cognitive Assessment, AI, Additive Manufacturing), By RegionsGlobal Market Drivers, Opportunities, Trends, and Forecasts, 2016-2022” some of the major companies that are currently working in the IOT in healthcare market are AirStrip Technologies, General Electric Company(GE Healthcare), Medtronic, Inc., IBM Corp.,Vodafone, Vivify Health Inc., Honeywell Life Care Solutions, Stanley Healthcare, Proteus Digital Health, Inc., SAP SE, Cisco Systems Inc., Koninklijke Philips N.V., Qualcomm Life Inc, NXP Semiconductors, Google (Alphabet Inc.), Ericsson AB, Diabetizer Ltd. & Co. KG, Microsoft Corp.,Infosys Limited, Zebra Technologies, St. Jude Medical Inc., Cerner Corporation, Apple Inc.,Propeller Health, Healthsense Inc., Adheretech, Inc.
Based on the types, the IOT healthcare market is segmented into biopharma, payer and provider and by component market is segmented into system & software, medical devices and services. System & software is further sub-segmented into network bandwidth management, application security, remote device management, data analytics and network security. Medical devices are sub-segmented into implantable medical devices, wearable external devices and stationary medical devices. Services are sub-segmented into consulting & training or education, system integration services and support & maintenance services. Based on the connectivity technology, the market is segmented into Bluetooth Low Energy (BLE), Near Field Communication (NFC), Wi-Fi, cellular, ZigBee and satellite. Based on the application, the market is segmented into connected imaging, clinical operations & workflow management, telemedicine, medication management and impatient monitoring etc. Telemedicine includes remote patient monitoring, store-and-forward telemedicine and interactive telemedicine. In addition, based on the end-user, the market is segmented into Government and Defense Institutions, research & diagnostic laboratories, hospitals or surgical centers & clinics, Clinical Research Organization (CRO) and others. The market of IOT in healthcare is generally driven by technologically advanced healthcare IT infrastructure, followed by increase in penetration of the connected devices in healthcare, rise in the healthcare expenditure prompting cost cutting initiatives, collaboration among companies, implementation of IoT solutions for reduced cost of care, growth in the demand for remote patient monitoring (for improved out-of-hospital care), increase in the number of initiatives supporting eHealth & digital health and proliferation of smart-phones usage etc. The market restraint analysis includes lack of medical expertise, accuracy of sensors, lack of governance standards, increased interoperability and the risks associated with the hospital security and lack of data privacy. Additionally, some of the major drivers which could impact the market substantially are growth potential in emerging economies and rising adoption of tele-presence technology etc. It is anticipated that the IOT in healthcare market to reach at US $158.0 billion, by 2022. In the forecast period it is expected that the market to grow at a rapid pace owing to rise in prevalence of chronic & lifestyle associated diseases.